Kitaco 3 row aluminum oil cooler kit for Honda Grom equipped with Kitaco 164cc or 181cc cylinders. 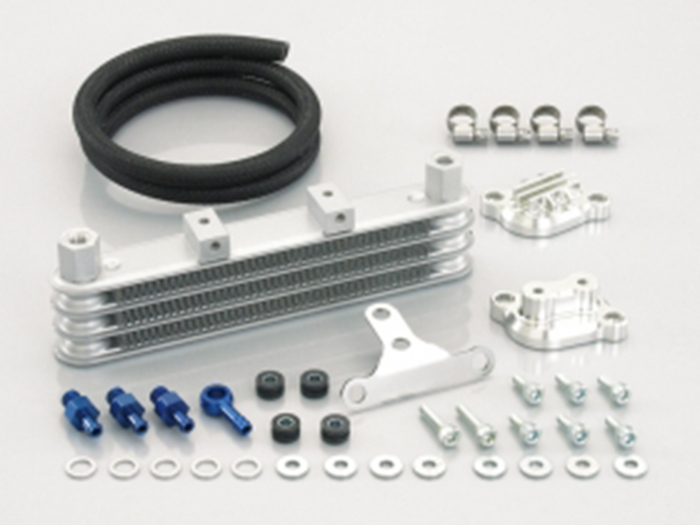 Kitaco 164cc and 181cc big bore cylinders have oil cooler ports manufactured into the aluminum casting to match the fittings provided in these oil cooler kits. Kitaco silver anodized aluminum valve covers included.